I cannot believe that Marathon training is DONE!!! I have been training since before January, seems very strange not to have a PLAN. Of course I will not stop running, this summer will be spent working on speed and FUN! I am very EXCITED to race with my favorite running buddy Muscle Man, in matching outfits of course :) We went for a quick 2 miler on Monday to shake up our legs, I felt very heavy but realized during the run that. 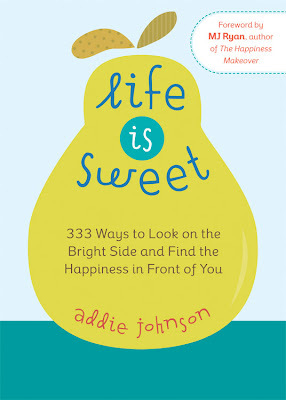 What makes your Life Sweet??? If you cant answer that question, maybe you need this book. Check out Tall Mom Giveaways HERE for a chance to WIN a copy. Love picture of you and Muscle Man! Life is Sweet . . . so true . . . and so many people don't take the time to appreciate that fact. Enjoy the "non-training" period . . . run and have fun. Life is sweet! I am loving the warm weather, my hubby, and my amazing 22 month old son! :) My two boys and my husband make my life sweet! Life is sweet! What makes it sweet for me is chosing to see it that way; having family near, our health and a strong faith all play a part in creating a rewarding life. It's always a little bittersweet to me when marathon (in my case half marathon) training is over and the race is done. So much is put in to it, it's like the day after christmas. 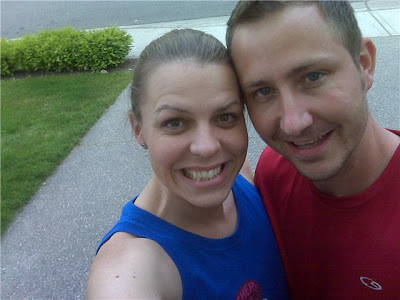 That's what makes me immediately sign up for another one though, to get the feeling back :) So fun running with hubbies! Enjoying time with my friends. Getting to go home to see my family this week end. Summer. Training for the Berlin marathon and feeling like every run brings me a step closer to doing it well. Very nice & sweet post ;)! is it so bad that i had to think about that question for a second? maybe i need that book...or another cup of coffee!! joking aside, i'm such a happy go lucky person. everything makes me happy except the scale. It must be so crazy to finish something like marathon training that was probably occupying so much of your time. I was just catching up on both you and Marlene's recaps and pictures. It looks like it was such a fun race and I love that you guys got to run it together :) I especially love the finish line pictures! Congrats! Cute pic of you and MM! Am I ready for 26.2? ?